Little may be changed in the appearance of the gables in the Amsterdam inner city. The facades of existing shops at street level are an exception. Architectural practice MVRDV and Gietermans & van Dijk received the contract to design a new facade for a shop in the chic P.C. Hooftstraat. The appearance had to fit in the with well known fashion houses such as Prada, Chanel and Dior. MVRDV came up with a facade of glass bricks, identical in shape to the existing 19th century facade. ABT was involved in the technical implementation. A search all over the world ended with the Italian company Poësia, which was able to produce clear, completely transparent bricks. 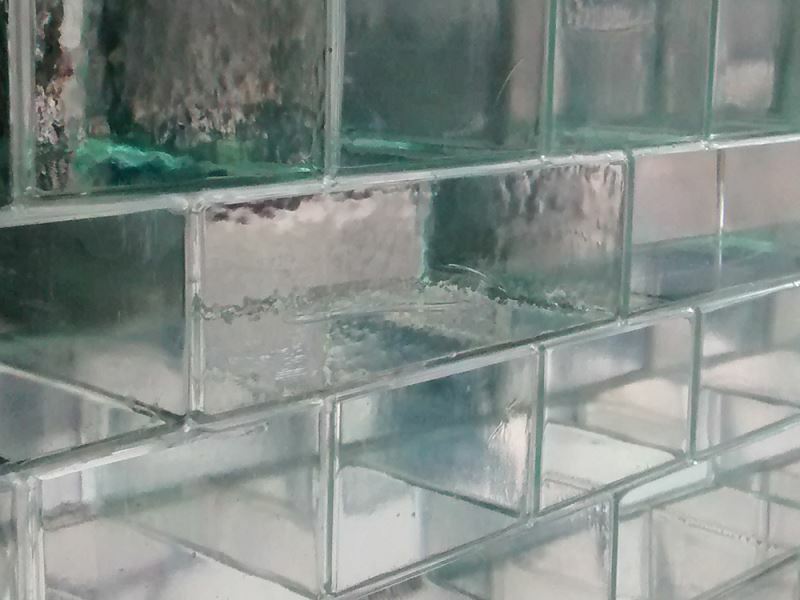 But how should glass bricks like these be joined to masonry? And how does one ensure that the facade is not just attractive, but also safe? 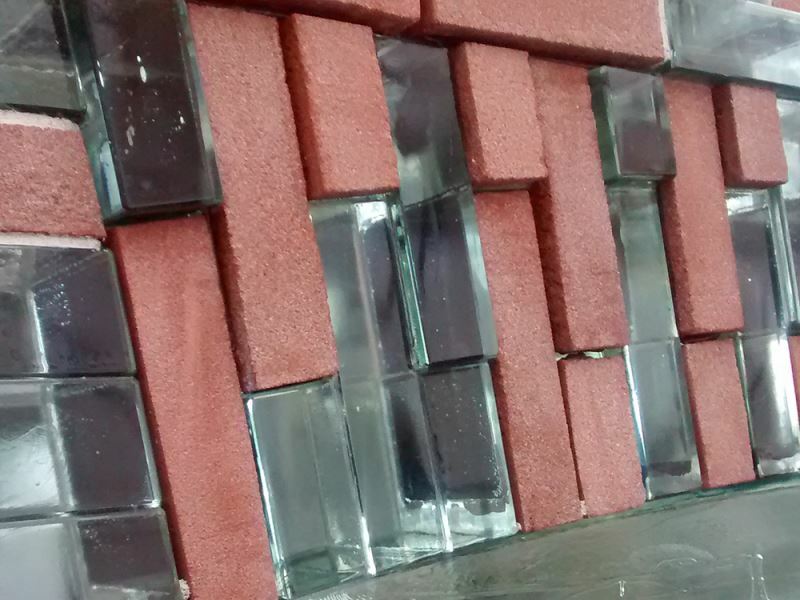 The structure of the glazed facade consists of UV bonded, solid glass bricks. Not only the bricks, but also the frames and even the panel door are made of glass. A self-bearing facade has never before been made with solid glass bricks. The 8.80 metre high facade demanded a high standard of accuracy. In addition, during construction of the facade, work had to be done within the permitted tolerances. Just as when setting engine valve tappets, feeler gauges were used. Milk was used to lay the first layer of bricks level. Milk provides adequate reflection, by contrast with water. Construction of the project is now underway, and delivery will take place around November 2015. The Chanel shop will be opened in the spring of 2016. At the Stevin Laboratory of Delft University of Technology, ABT studied the building physics and technical structural aspects of the glass facade. The strength and stiffness of the glass were tested by the Glass research group of the TU Delft. 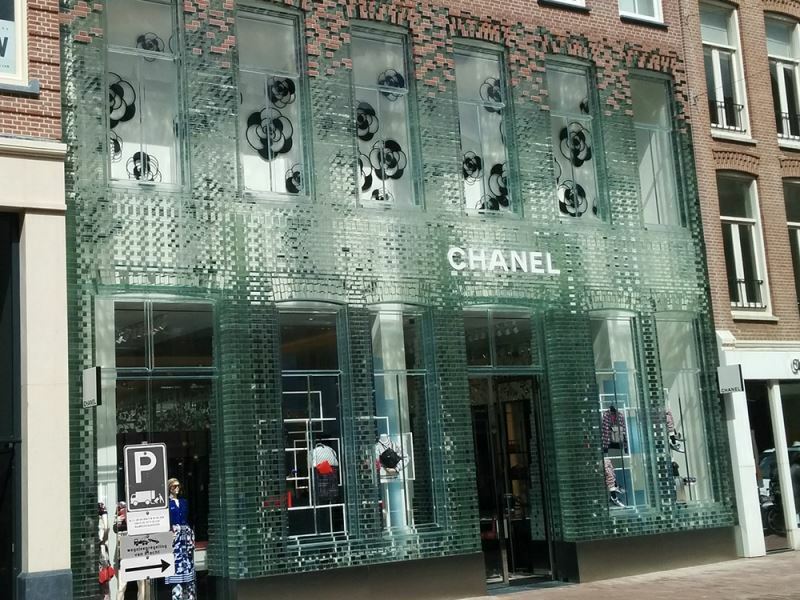 The glass facade of the future Chanel shop on P.C. Hooftstraat has been nominated for the Vernufteling 2016. This is the annual prize awarded by NLingenieurs to the consultancy or engineering practice with the most inventive project.